2019 calendar by Karen Hallion. So … this is probably the latest new year’s blog post ever. I did manage to squeak it in before January ended, so that counts, right? I couldn’t let the month slip by without taking stock of the year that was for No Man’s Land, complete with milestones, adventures, and a lively running conversation about fandom, feminism, representation, and less serious – but seriously nerdy – topics, like Disney, and comic books, and Star Wars. Many of the highlights of 2018 are summed up in the five most popular posts featured on the blog. 2. An interview with Tipper’s equally badass co-star, Cara Gee. Ashley Eckstein and me at Her Universe headquarters. 3. An essay about my visit to the headquarters of Her Universe, where I met one of my heroes, Ashley Eckstein, and got an inside glimpse at the world of geek fashion and its frustratingly complex size issues. 4. An interview with cosplayer Krystina Arielle Tigner, who inspires me daily and has achieved so much over the last year as a host, actor, entertainer, and D&D personality, fiercely and gracefully battling racist and sexist trolls at every turn. 5. An interview with plus model and body positive role model Danielle Zavala, who is a joy and one of several geek fashion insiders I was honored to profile last year. No Man’s Land logo by Mai Kemble. No Man’s Land also celebrated its one-year anniversary, grew its social media and subscriber following, underwent a redesign, and was gifted with a striking logo by artist Mai Kemble. In other professional developments, I enjoyed the opportunity to blog for licensed DC and Marvel fashion company Hero Within, writing on such topics as Avengers: Infinity War, Ruby Rose as Batwoman, and the women of the MCU. I even got to put together my first fashion guide (it was Avengers-themed and it was quite a challenge). At WonderCon 2018 with Gail Simone and Fawn Kemble. My personal favorite moments of 2018 included participating in Women’s March Los Angeles, finally diving into the world of comic books after years of hesitation, attempting my very first casual cosplay at Los Angeles Comic Con, and geeking out at WonderCon, where I met another one of my heroes, comics writer Gail Simone. In the summer, I took a trip to Wiltshire, England, with my husband and 4-year-old daughter. We stayed in the cozy Edwardian home of wonderful relatives who plied us with gourmet brownies (one of them is a chef! ), English bacon, toast and tea, ferried us on day trips to Bath and Oxford, and were so welcoming, fun, sweet, and charming, we’ve missed them every day since we got back. We were also able to explore the gorgeous coast of Cornwall, where my ancestors hail from, and spend a couple days in London, a city I adore so much, I cried when we left. In London with Nick and Eliza. Of every goal achieved in 2018, both personal and professional, I’m most proud of No Man’s Land’s interview series. 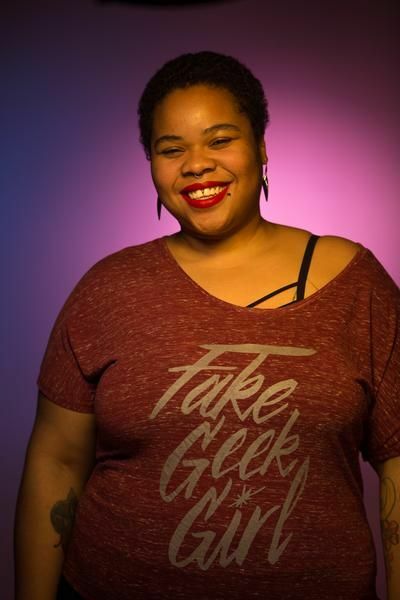 Virtually every week of 2018, I had the honor of introducing my readers to a diverse and dazzling group of women who are using their powers for good within the geeky community. 2018 was a hopeful year for women, with the birth of the Time’s Up movement, a record 257 women candidates for Congress, and many victims of sexual assault coming forward to confront their abusers. Yet, the year was often demoralizing and discouraging, as the Me Too movement was met with intense backlash, the Brett Kavanaugh hearings dredged up past traumas for many, and an admitted harasser continued to occupy the highest office in the nation. The geek community was not immune to similar controversies. Haters of The Last Jedi mercilessly trolled female Star Wars fans and drove star Kelly Marie Tran off social media. Comicsgate reared its head again in the ugliest ways, and some men were up in arms over a new version of She-Ra they found to be less than “hot,” as well as the arrival of a female Doctor Who. In the midst of all this, I drew courage from the women I interviewed for No Man’s Land, who were gracious enough to answer my questions and tell me their stories. It was endlessly inspiring to see that, despite the immense pushback, skepticism, gatekeeping, and downright bullying these fangirls are confronted with on a regular basis, they’re getting on with all the geek stuff and doing it with passion, talent, creativity, and steely determination. These women are making fan art, designing geek fashion, writing fan fiction and novels, recording podcasts, creating cosplays, building droids and lightsabers, running marathons, directing documentaries, writing blog posts and articles, taking photos, and collecting action figures and Funko Pops. They’re crafting custom Mickey ears; playing video games and D&D; bedazzling fellow fans with nerdy tattoos, nails, makeup, and jewelry; brilliantly analyzing, discussing, and documenting fandoms; crafting, sewing, baking, and brewing tea; organizing groups, charities, clubs, and events; and running small shops and businesses. 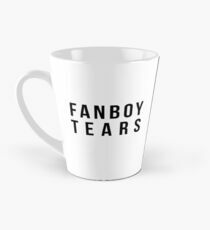 They’re reveling in the fandoms they love and, damn, they’re making it look good. They don’t need your permission. Nobody’s going to stop them. Even in my most despairing moments, this never fails to put a smile on my face. A month ago, I was feeling ready to meet 2019, itching to dream up new goals and challenges for No Man’s Land. Life had other plans though, and here I am with a revised, more modest goal to get the interview series up and running again. With any luck, I’ll be posting fresh interviews starting next Wednesday. I hope you’ll join me for another year of meeting the astonishing women of geek culture. I can’t wait to see what they’ll do next. This entry was tagged Ashley Eckstein, Comicsgate, DC, Gail Simone, geek fashion, geek girls, Her Universe, Hero Within, Marvel, metoo, The Expanse, The Last Jedi, timesup, women, WonderCon. Bookmark the permalink. Aw, thanks, Shawna! You inspire me too! Thanks for your constant support!